Sleeps up to 6 People and includes an Annex for extended family or friends. This Family Bunk Van can be towed by a Family Sedan or a smaller SUV with heaps of space and a breeze to tow. Sleeps up to 6 people with a modern feel, enjoy ducted heating, battery power & air con. Please call and book your inspection. This van is compact and can be towed with a seden or small SUV. Plenty of seating and space. Presents like a new van. 2 Berth van with Silver Cladding complete with full ensuite, Battery & 150 Watt solar panel. All Aluminium Frame, ESC and Independent Suspension. 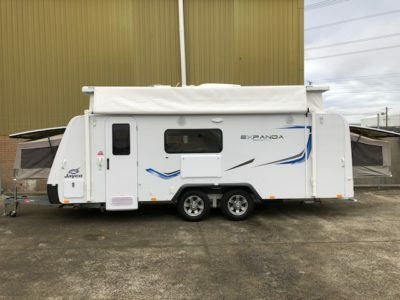 Have a BIG Family well then this Expanda is for you, sleeps up to 8 People and includes an Annex for extended family/friends. Comes with a BIG Fridge and Bed Flys. Also includes a caravan cover and light enough to tow with a large Family sedan. Please make an appointment to inspect this Expanda. 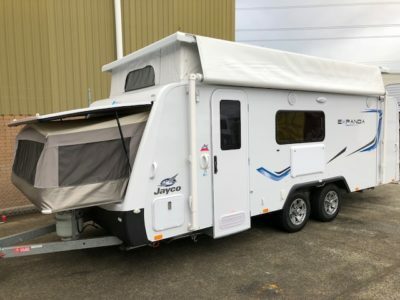 Light enough to tow with a mid size car or suv, take it anywhere, sleeps upto 6 people.